Currently being developed by Griptonite Games, players will accompany Grover as he sets out to create a series of challenges designed to help his Sesame Street friends get up and go! Through the course of the game, Elmo and Abby jump over obstacles, row a boat, and play “Grover Says,” all while learning important life lessons on healthy habits to grow with. Through their adventures, the game promotes physical activity, good nutrition, personal hygiene, and even the importance of rest and relaxation. Those that purchase the title will also receive what are described as being “gameplay helpers,” at no extra charge. For Wii, this is a soft, fuzzy character cover with special grips that slips over the Wii Remote, whereas the Nintendo DS gains a jumbo click-stylus to aid younger, smaller hands in interacting with the touch screen. 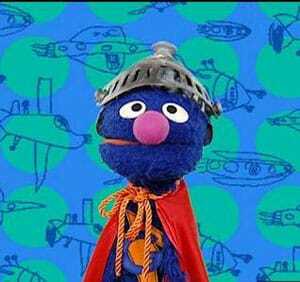 Sesame Street: Ready, Set, Grover! is due to release across North America in Summer.